For years I have asked the question, was film school worth it? I've weighed the financial burden, considered the value in teaching art, and broken down the technical advantages that such a pursuit provides. However, this is a loaded question to begin with and it's only made more difficult by the fact that I really don't know the answer. There are resounding pros and cons, both of which I feel I've experienced the extremes of. 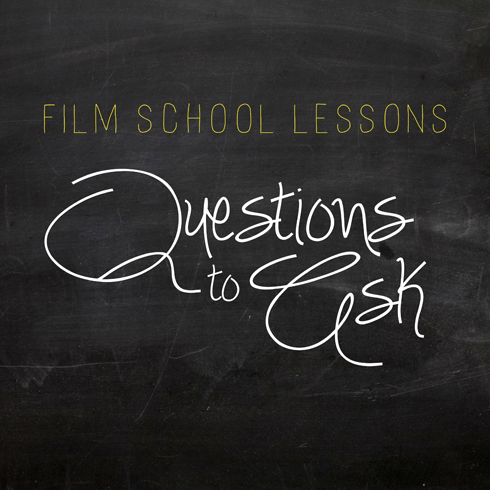 What I have come away with in any case, are a handful of film school lessons. From tips, general advice, actual projects and assignment descriptions, film theory, critical thinking exercises, and ideas on what to expect both personally and in a real world (job) context, not to mention just the general experience of going from a clueless aspiring filmmaker to a less clueless independent filmmaker. In moving forward, I'd like to inform, inspire, and fill in a few of the blanks for others trying to make the most of their film experience. I hardly have all the answers, but with film school in my past and an ambitious record of personal/creative growth over the last few years, there are a lot of things that I've picked up on and a lot of things that I think would help any other filmmaker interested in creative challenges. I've found myself inspired just by going through old notes and lessons again. You have to ask yourself, what is it that you want to achieve with your filmmaking? Do you want to direct, edit, write? Narrow these options down, because even though you'll likely have a hand in a lot of these things, refining a specific skill can be more valuable than just general knowledge in numerous fields. Fight the urge to simply say director, when someone asks you what you want to do. In film school, director is practically a given (and it's really a dodge to the question because it's just another way of saying you want to do everything). Even if that's true, challenge yourself to be specific. Ultimately you want to have a grasp on what a cinematographer, skilled camera person, or editor can bring to your project and how those skill sets can be relied upon to improve your vision (if you're directing). In the same way, learn how to take direction. Understand that your involvement and support in the role you play can be incredibly instrumental in the success of a project. Often when you're in a position that requires you to focus on specific details you're actually the one who can influence creative direction. Plus, it's just good advice knowing when to step back and step in - nothing worse than a set where everyone wants to play director. It's never too late to revisit questions of purpose and motivation. Working in a creative field requires you to be open minded, willing to adapt, and confident in the choices you make. 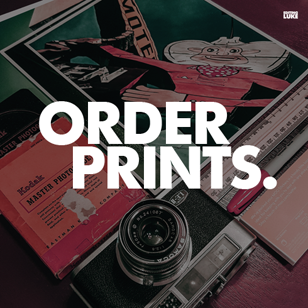 There are literally so many options to choose from, that your ability to create your own (initial) boundaries and terms will help to define the type of filmmaker you are and want to become. Naturally, your style and approach will evolve, but if you're indecisive about the choices you make you'll never really see more than the surface. It's like reading a good book. You can read the cliff notes to understand the basic plot, but without investing time in really getting to know the construction of the story (and the natural emotional response it gives you) you'll miss the subtleties and reasoning behind why things were done the way they were. When creating a movie, no matter the size, you're constructing an experience, a series of frames that are meant to engage, question, entertain, and (hopefully) make sense. Unless you want someone else to decide what your work means, you need to appreciate the theory of why things are put together the way they are. It is very hard deciding on what school is going to best benefit your goals and dreams. Education is a huge investment not to be taken lightly because it will have an impact on the rest of your life. You and me have definitely talked about this topic a lot, especially lately. Where do we go from here, etc. What hits home for me the most lately is trying to figure out what aspect of this whole crazy film world intrigues me the most and what to focus on. You've had your focus for years, and before editing I remember you wanting to do claymation. Both involve patience and self-motivation, traits you have defined to be part of yourself since I've known you. And perhaps thats where I should start. Looking at how I handle certain situations and applying that to a certain aspect of movie making. Either way, great article/series you have here, and I can't wait to read more of it and see where it goes. Its a nice way to tie all of your experiences you mention here and there into a tangible lesson. To film school and all it's hidden lessons! Ya, with my new focus on creating regular columns it seemed appropriate to have one that highlights specific film school subjects - especially because so much of my blog has been targeted at that message. ha, claymation is cool...I always like a good stop motion. Well I guess I'm an editor. I not that I haven't worked in many other regions, but it's what I prefer most of all. It seemed weird reading the part about everyone wanting to be a director, but when I look back I can only think of one person I have met who is serious about film that said they intended to be just an actor. But yes this is a very good series as I agree to Tyler's post.